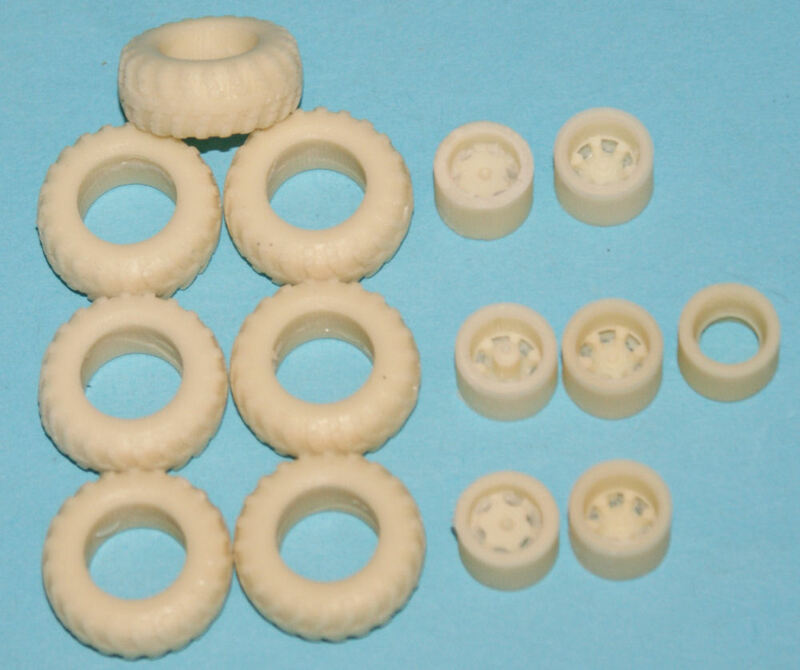 Armory of the Ukraine has released a number of very nice detail sets, this one providing a resin alternative to the rubber (vinyl) tires provided in the E-Class 1/72 KrAZ-255B truck kit. 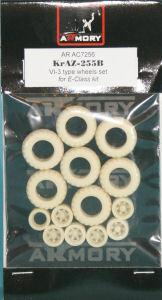 This set provides the six tires and wheel hubs for the truck as well as a spare tire. The casting is sharp with no bubbles or distortions in castings of my sample and look to be a drop-in replacement set for the kit parts. 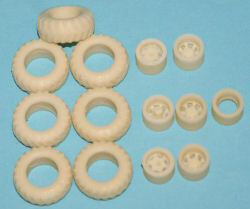 While some folks are happy with the rubber (vinyl) tires that come in the kit, I am amazed at just how many aftermarket sets are available for modelers to replace those tires with resin castings. Resin is easier to paint and weather, and the resin tires aren't going to pop off the hubs sometime in the future. You can purchase Armory products from a number of online stockists as well as directly from their online store. My sincere thanks to Armory for this review sample!